The St. Helene community led development/capacity building project is holistic, collaborative, and long term. It involves alliances with Rotary Clubs in Honduras Canada, and the US, several NGOs, and multiple Rotary Grants. This powerful combination has begun producing results. Phase I includes two grants written by a Canadian Rotary Club to address drilling new wells, WASH training, building, improving, and equipping schools (including computers), and teacher training. 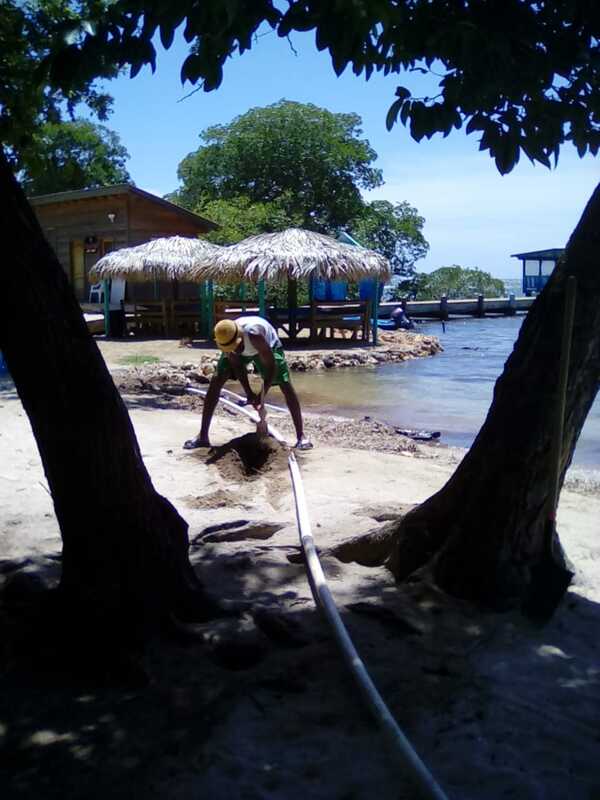 Phase II will involve building an extensive water distribution system to each home on the island, latrines, and community training in the operation and maintenance of the water system. Phase III will focus on economic development through further community training in the areas of micro finance, savings groups, entrepreneurship, sustainable fishing and agriculture. Each project hinges upon leadership training, shared responsibility, and collective planning. Training is delivered in workshops ranging from tourism development to project management and skill development in trades like plumbing.